With this in-house developed application, you can program and simulate new animations. 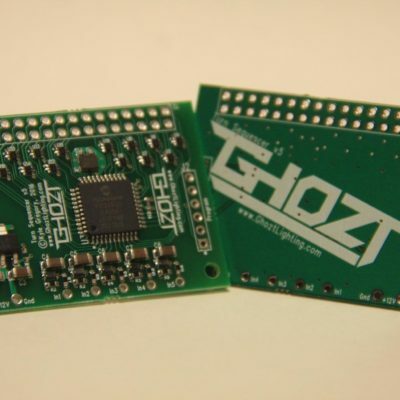 Also, you can export the configuration to be compiled by Ghozt Lighting, and flash it onto your sequencer! This software is available free! Sequence Designer v2.0 is now available! This software is free! This software does it all! Program everything from the turn signal animation, to a VIP-style looping show mode! 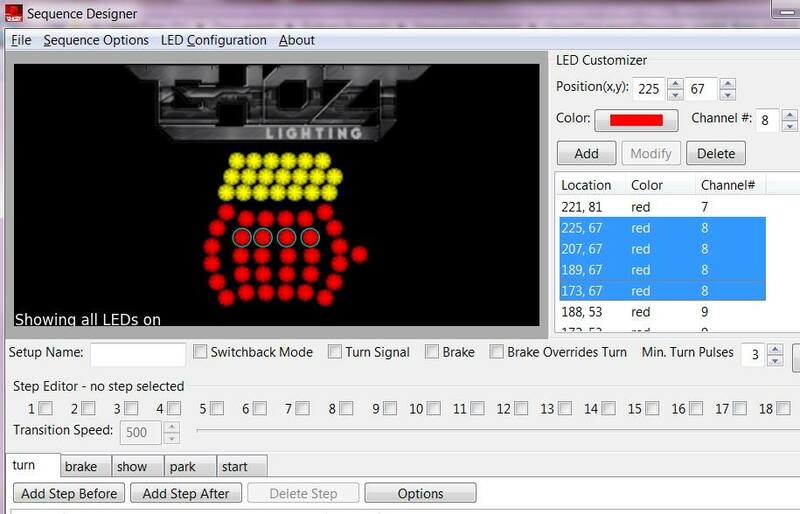 This software gives you complete control, including an easy to use interface to build your LED arrangement and assign channels to each LED! From there, design your own sequences, including: animations when turning on and off parking lights, on and off the car, release of the brake light, and more! Once satisfied, you can compile the project on your own to a Hex file, which is used to flash/re-program your sequencer using the PICkit-3 Programmer from Microchip! 6 pin color coded wire, for extending programming pins out of housing or simply for use as a programming interface. 6 pin male > male connectors, for plugging into wire harnesses above, Pickit3, and the sequencer directly.